The role is a three year contract. Salary packaging is available. Leave entitlements as per national standards. There will be a 6 month probationary period. There will be a requirement to work outside of normal hours on limited occasion for fundraising events and activities. Allowance is made for reasonable time-in-lieu. Flexible working hours and conditions are offered. A competitive remuneration is available for the right candidate, depending on experience. Salary packaging is available. Leave entitlements as per national standards. 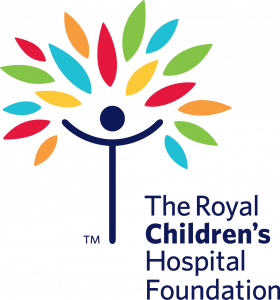 Founded in 1989, the RCH Foundation is the fundraising arm of The Royal Children's Hospital, Melbourne, one of the world’s leading children’s hospitals. While a legally separate organisation, the RCH Foundation works very closely with the RCH to help achieve its vision. Generous community support helps to sustain the hospital’s role as an international leader tackling some of the world's biggest health issues. To achieve this, the RCH Foundation supports a vast network of fundraisers and donors. Donated funds drive the hospital’s growth and are utilised for purposes of medical excellence. They support only the most innovative, life-changing programs and initiatives – that would otherwise not exist - in the areas of leadership, training, technology, equipment, research and patient and family-centred care.